Sigrist Process Photometers - Absorption & Turbidity Dryers | TALON Technical Sales, Inc.
TALON Technical Sales, Inc. is the exclusive representative of Sigrist-Photometer AG in Texas, Arkansas, Louisiana and Oklahoma. 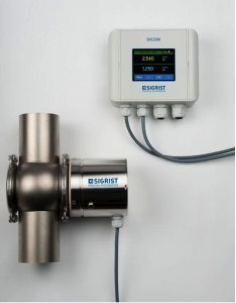 Sigrist, an ISO 9001 certified company, is a world leader in the manufacture of process photometers for continuous quality control monitoring in liquids and gases. 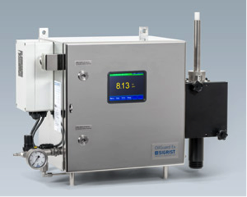 The Sigrist OilGuard, Oil-in-Water Monitor, operates on the proven UV fluorescence measuring principle. Aromatic hydrocarbons possess the ability to emit visible light when radiated with UV light. This makes it possible to detect oil-in-water in the low ppm range even if the water is turbid. Note the system can be provided with certifications for Hazardous areas – Class 1 Div. 1 & 2 & EEx-p IIC. Sigrist has over sixty years of experience in the design and manufacture of turbidimeters for a wide variety of applications. Used worldwide, Sigrist turbidimeters are applied in breweries, water treatment plants, wineries, pharmaceuticals, and chemical applications. 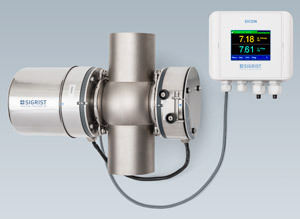 Sigrist absorption meters provide valuable information in the ultra-violet or visible region at one or more wavelengths. This allows the user to determine the concentration of substances such as metallic ions or organic compounds in liquids or gases or the color of liquids.